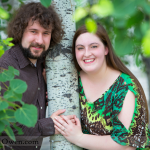 Becca & Jordan – One Month until the Wedding! I met up with Becca & Jordan to talk wedding day details and do some photos to get us warmed up for the upcoming wedding. The Guthrie Theater and Minneapolis riverfront were appropriate backdrops given their love of theater and Northwoods wedding location. Can’t wait for the big day!